Get a two for one wine tasting deal at Clos Pegase. FREE coupons, FREE wine, FREE advice to help you plan a trip to Napa - on a budget! THE DEAL: 2 for 1 Tasting and 20% off wine purchased same day. Save $25. To get this deal you need a Priority Wine Pass. Get it here using my discount code. You only need one pass per couple to get this two for one deal. WALLY SAYS: Crazy weird architecture by Michael Graves, the guy who did all the crazy weird electric appliance designs for Target Stores. Stand at the bar or on a nice day head out to the patio for your two for one tasting. Beautiful gardens and sculptures, check out their lunch options and picnic area. 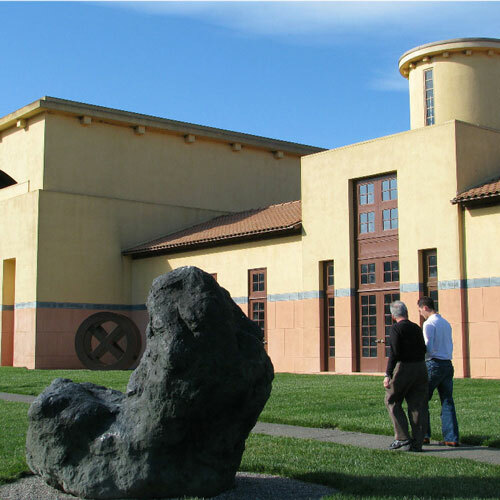 If you're visiting Clos Pegase Winery you might want to visit these other wineries in the same area who also offer discounts. With over 75 wineries to choose from, Email me if you have questions and if you're overwhelmed remember that I can help you pick which wineries you should visit and put them into a stop by stop agenda - for free! Check out a full scale castle, free tastings w case purchase with Prioity Wine Pass. Lovely outside seating, beautiful tasting room, 2 for 1 with Priority Wine Pass. 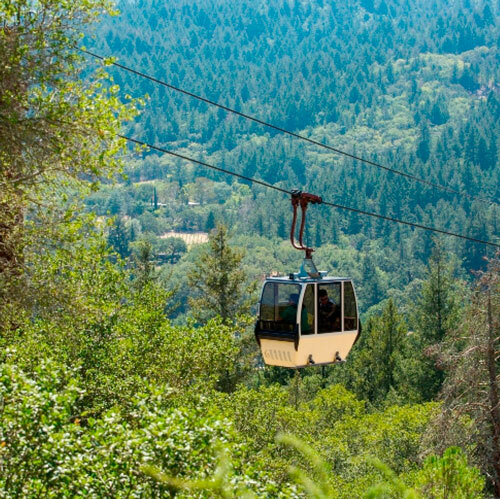 Ride the tram to the top of the mountain - yes, I have discount deals for you! Fun and funky winery, picnic area, two for one tasting with Priority Wine Pass. Get the Most Bang for Your Wine Tasting Buck by visiting the wineries who accept the Priority Wine Discount Card. You'll save on average $25 at each stop. Good for a year, the discount wine pass pays for itself before you finish sipping at your second winery!